Visiting Professor University of Pennsylvania, Dept. of Otolaryngology, October 2006. New Resurfacing and Fractionated Lasers, International Society of Cosmetic, Laser Surgery, Las Vegas, September 2007. Avoiding and Managing Laser Complications, International Society of Cosmetic, Laser Surgery, Las Vegas, September 2007. Vascular Laser Innovations, Annual Facial Rejuvenation Meeting, sponsored by University of Tennessee, Hilton Head, March 2007. Non-ablative Skin Tightening, Annual Facial Rejuvenation Meeting, sponsored by University of Tennessee, Hilton Head, March 2007. Fillers, Fat Grafts and Liposculpture, Annual Meeting, American Academy of Cosmetic Surgery, Phoenix, January 2007. Laser Treatment of Hemangiomas and Vascular Malformations, Annual Meeting, American Academy of Cosmetic Surgery, Phoenix, January 2007. Infrared Light Device for Facial Skin Tightening, Annual Meeting, American Academy of Cosmetic Surgery, Phoenix, January 2007. Fourth Annual Facial Reconstruction and Soft Tissue Surgery Northeast Regional Course, Course Director, New Jersey Medical School, October 2006. Laser Treatment of Vascular Lesions. International Society of Cosmetic and Laser Surgery, Annual Meeting, Las Vegas, Nevada, September 2006. Minimal Recovery Laser Facial Rejuvenation. Grand Rounds. Department of Otolaryngology-Head and Neck Surgery, New York University School of Medicine, November 2005. Laser Biophysics, Lecture. Resident rounds. The New Jersey Medical School, UMDNJ, October 2005. Session director, moderator: Emerging trends in Facial Plastic Surgery: Suture lifts, new technology. Annual Meeting American Academy of Facial Plastic Surgery. September 2005, Los Angeles, CA. Personnel Law and Personnel Management. Business of Medicine Course for Otolaryngology Residents, The New Jersey Medical School-UMDNJ, May 2005. Director Soft Tissue Surgery Course. 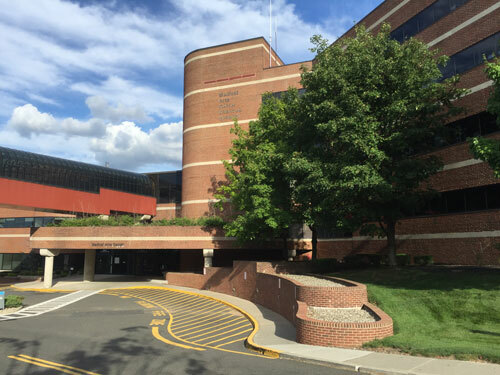 The New Jersey Medical School-UMDNJ, April 2005. Single Stage Aesthetic Nasal Reconstruction. Annual Otolaryngology Meeting, October 2004, Mohegan Sun, Connecticut. Nasal Reconstruction. Otolaryngology Grand Rounds, Downstate School of Medicine, October 2004, Brooklyn, NY. Lecture: Laser Safety. Overlook Hospital O.R. personnel lecture series, Summit, NJ, June 2004. Lecture: Personnel Law and Management. Business of Medicine Management Course, The New Jersey Medical School-UMDNJ, April 2004. Lecture: Nasal Reconstruction. Grand Rounds, New York University Dept. of Otolaryngology, March 2004. Director: Second Annual Northeast Regional Soft Tissue Surgery Meeting, at The New Jersey Medical School, endorsed by the American Academy of Facial Plastic and Reconstructive Surgery, Newark, NJ, March 2004. Lecture: Personnel and Financial Office Management, in the Medical Business Management Course, at The New Jersey Medical School Newark, NJ, April 2003. Director: Northeast Regional Soft Tissue Surgery Meeting, at The New Jersey Medical School, endorsed by the American Academy of Facial Plastic and Reconstructive Surgery, Newark, NJ, March 2003. Director: Cosmetic Laser Skin Rejuvenation Course at the annual meeting of the American Academy of Cosmetic Surgery, Palm Springs, California, January 2003. Meeting Director: Laser Skin Course American Academy of Facial Plastic and Reconstructive Surgery, May 2000. Co-Director: Master’s Seminar: Facial Soft Tissue Implants. American Academy of Facial Plastic Surgery, September 1999. Meeting Director: Laser Selection in Facial Plastic Surgery. American Academy of Facial Plastic Surgery, September 1999. Lecture: BOTOX® Cosmetic for Facial Rejuvenation. Annual Alumni Day Meeting, Department of Otolaryngology, UMDNJ, June 1999. Panel Moderator: Prevention and Management of Resurfacing Complications, American Academy of Facial Plastic Surgery, April 1999. Director: Master’s Seminar: Laser Hair Removal. American Academy of Facial Plastic Surgery, April 1999. Lecture: Silicone Implant Update-Facial Breast Annual Facial Plastic Surgery Meeting of the New Jersey Academy of Otolaryngology April 1999. Meeting Co-Director: Annual Meeting, International Society of Cosmetic Laser Surgery, March 1999. Meeting Director: (Advanced Course) Lasers for Cosmetic Surgery. American Academy of Cosmetic Surgery, January 1999. Lecture: Silicone Breast Implants American Academy of Cosmetic Surgery, Annual Meeting, January 1999. Course Director: (Advances in) Lasers for Facial Plastic Surgery. American Academy of Facial Plastic Surgery, September 1997. Meeting Director. Lasers in Facial Plastic Surgery. American Academy of Facial Plastic Surgery, May 1997. Laser Resurfacing and Complications of Laser Resurfacing. Laser Resurfacing Meeting of the New Jersey Academy of Ophthalmology May 1997. Management of Complications of Laser Resurfacing. Annual Facial Plastic Surgery Meeting of The New Jersey Academy of Otolaryngology. March 1997. Management Post Laser Resurfacing: Techniques and Controversies. International Society of Cosmetic Laser Surgery, March 1997. Course Director: Lasers in Cosmetic Surgery, Annual Meeting, American Academy of Cosmetic Surgery, January 1997. Recent Advances in Laser Plastic Surgery at the Overlook Hospital meeting: Potpourri for Pediatricians, November 1996. Instructor Laser Skin Resurfacing, Cutaneous Surgery Meeting, sponsored by the American Academy of Facial Plastic and Reconstructive Surgery and St. Louis University, October 1996. Course Director: Advanced Course on Lasers in Facial Plastic Surgery, Annual Meeting, American Academy of Facial Plastic and Reconstructive Surgery, September 28, 1996. Course Director: Lasers in Facial Plastic Surgery, Spring Meeting, American Academy of Facial Plastic and Reconstructive Surgery May 10, 11, 1996. Master’s Seminar: Laser Skin Resurfacing for Wrinkles, Scars. AAFPRS, September 1995. Demonstration of Endoscopic Brow Lift, Facelift Course on Endoscopic Plastic Surgery, January 1995. “Tips on Tips” course on nasal tip surgery, American Academy of Cosmetic Surgery Annual Meeting, January 1995. “Closed versus Open Rhinoplasty” -Invited speaker, World Congress of Beauty Surgery, October 1994. “Post Rhinoplastic Depression,” American Academy of Otolaryngology-Head and Neck Surgery Poster Presentation, September 1994. Closed vs. Open Rhinoplasty -International Symposium on Rhinoplasty, Philadelphia, Pennsylvania, April 1994. Pediatric Plastic Surgery at the Overlook Hospital meeting: Potpourri for Pediatricians, November 1993. Rhinoplasty panel member at the annual meeting of the American Academy of Cosmetic Surgery, February 1993. “Skin Lesions and Skin Cancer” – Family Practice Grand Rounds, Overlook Hospital, April 1988. “Complications of Sinusitis” Pediatric Grand Rounds Overlook Hospital, 1985. “Facial Trauma – Evaluation and Treatment” Emergency Medicine Rounds, Overlook Hospital, 1984.